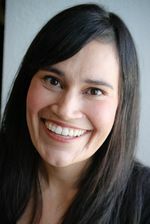 Francisca Antman is an assistant professor in the Department of Economics at the University of Colorado Boulder, faculty affiliate in the Population Program at the CU Population Center, and Research Fellow at the Institute for the Study of Labor (IZA). She earned her Ph.D. in Economics from Stanford University in 2007, M.A. from Stanford in 2005, and B.A. in Economics from Harvard University in 2001. She is a development and labor economist with special interests in international migration and human capital investments as well as the allocation of resources within households and families. Other recent projects explore the construction of race and ethnic identity as well as economic development in historical perspective. In January 2012, she was appointed to the American Economic Association Committee on the Status of Minority Groups in the Economics Profession (CSMGEP). Francisca joined CReAM as an external research fellow in January 2015.